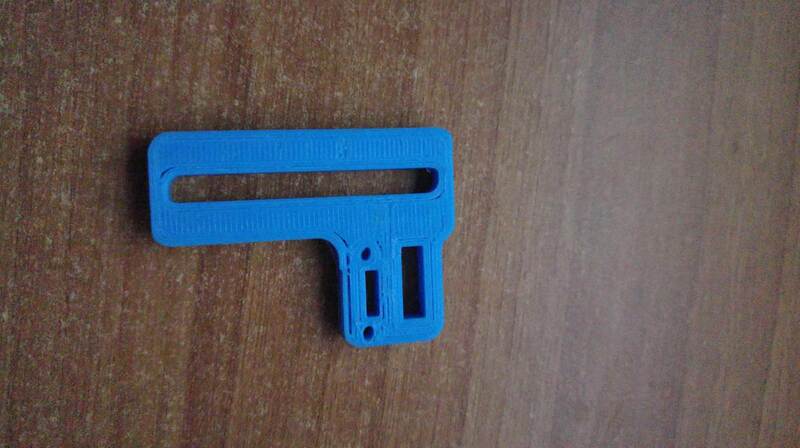 Are you sure you can print it without support? 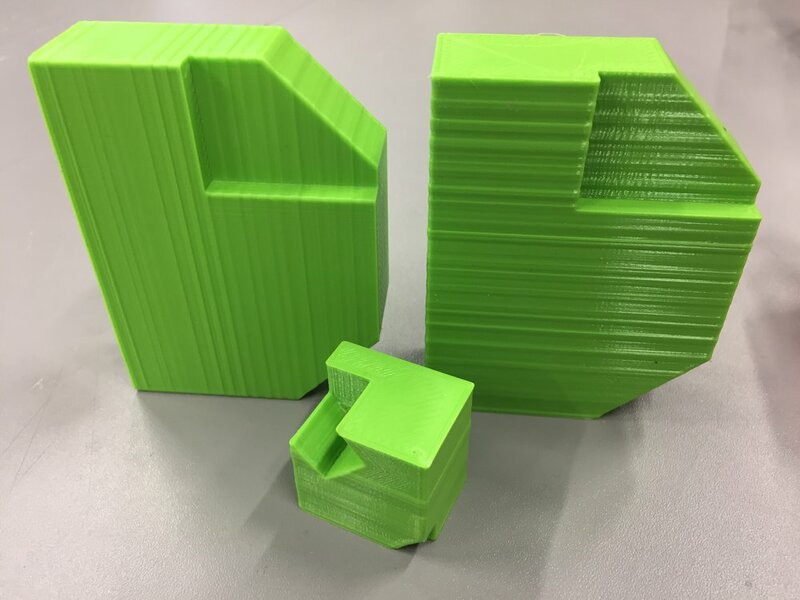 On your test object it is pretty obvious that the layers look different in those heights, where top (solid) layers are printed. The time per layer is longer in those spots and the deposited material has more time to cool down before the next layer is attached. I would try to print more than one part at a time to increase the layer time in general and/or increase the minimum layer time in the slicer (e.g. double it to check the difference). 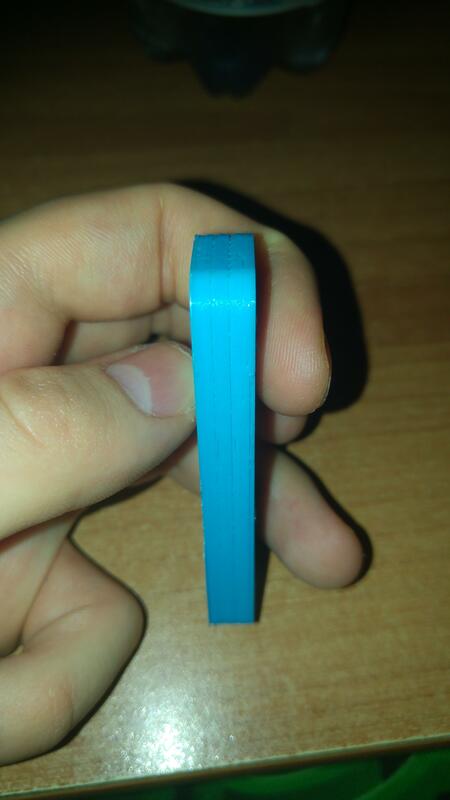 The default (5 seconds in Cura) is probably too short for this kind of model and material. Thanks tinkergnome, I think that is or could be really the reason, you are absolutely right and I didn't thought about the layer time. 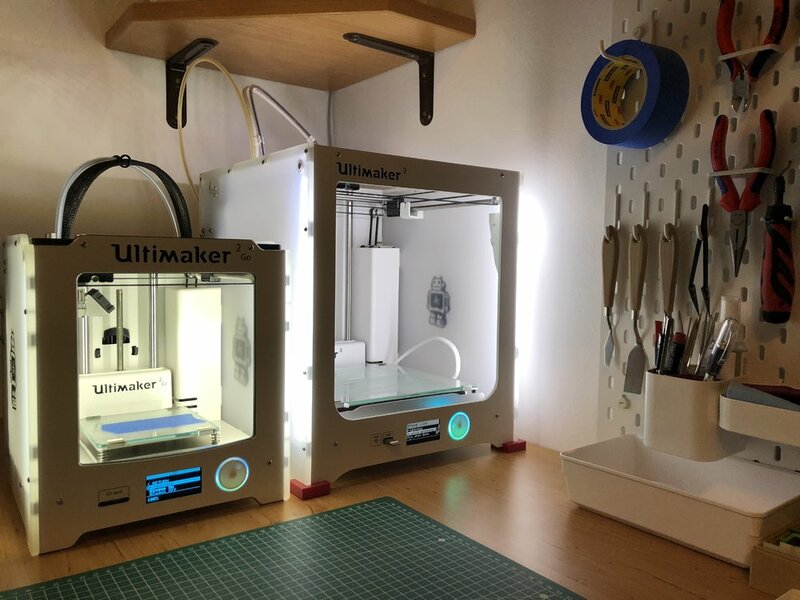 I will repeat it with 2 objects and increased layer time, it doesn't matter anymore, I have meanwhile so much printed "lying mans" that I can sell them on the christmas market this year ? Thanks a lot for your test, but now it is really 100% sure it is not mechanical related. Yes you can do, the printer is capable to print this small overhang without problems. Posted October 1, 2018 · Backlash or not, Hardware problem or not? And what did your latest test print look like? Was that it? ? Posted October 1, 2018 (edited) · Backlash or not, Hardware problem or not? I had no time yet, because a new family member moved into our home and he needed a lot of attention. But dad was willing to help and showed the junior all the important things he should know ? Here dad of the right side with his junior the left ? Posted October 2, 2018 · Backlash or not, Hardware problem or not? Turns out the diameter of the green was all over the place resulting in these ugly stripes. Thats interesting, it looks really ugly. I still have to do some more tests, because I don't like such issues without knowing the root cause of it. Can you check the back of the object, is it squishing out on both sides (front and back the same) or shifted? Posted October 5, 2018 (edited) · Backlash or not, Hardware problem or not? To me it isn't the layer being cooled too fast, it only happens on singular top and bottom layers. I am very pissed at this point. Posted October 5, 2018 · Backlash or not, Hardware problem or not? Yeah, it looks like very similar to my problem. If there is something inside the object, there are problems. 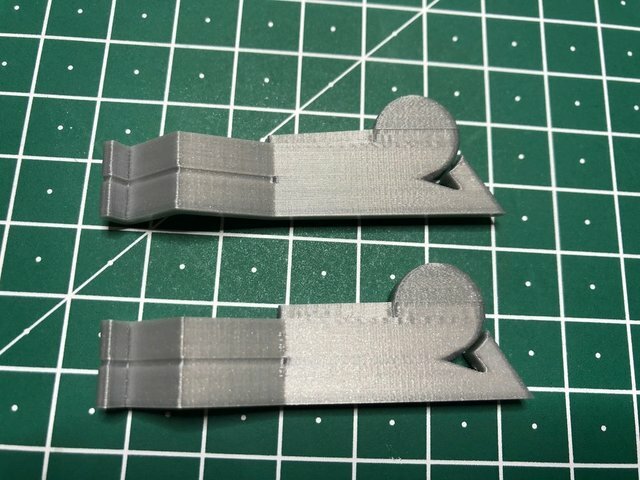 But I don't think it is a Cura problem, I sliced my object also with Simplify3D and got the same result. 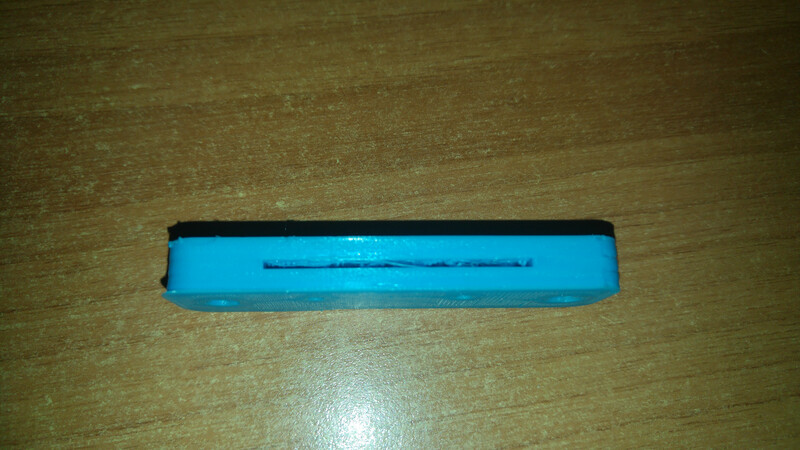 I haven't tested further, but I think it is more a problem with the filament, feeder or a combination of it. I have to check if there are maybe some retractions which cause the problem. But anyway, I believe it is more less an under/over extrusion which results in this failures. I think it also is a software problem. Even if other slicers give this problem (to me they do really less), it still may be caused by some common way to handle those layers that are different to the previous one or even next one. Hardware wise I can't think of anything causing it. Posted October 6, 2018 · Backlash or not, Hardware problem or not? So I give up to solve this issue. Maybe there is something wrong with the model itself. 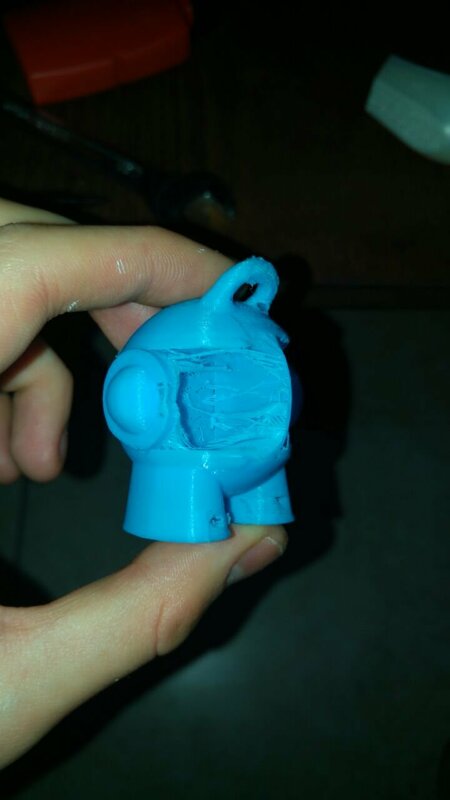 Anyway, I don't need this model, was a print for fun and there I saw this failure by chance. Posted October 8, 2018 (edited) · Backlash or not, Hardware problem or not? Well it isn't a problem with that model since I never had a model that hasn't had it. 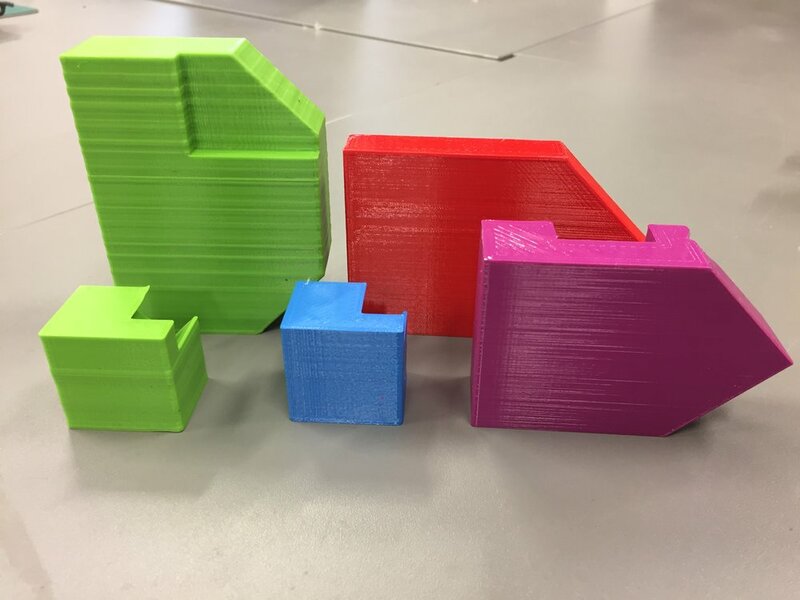 I checked deeper and I noticed the normally extruded layers are only the top and bottom layers, while all the normal layers, which containt the infill (or not if with 0% infill, it is the same), will have this problem, which is an under or overextrusion. I haven't been able to determine what makes it be an under or overextrusion, but based on my latest print it doesn't affect adjacent surfaces. In fact you will see the random overextrusion will exactly stop when the Y coordinate changes of just 1 point. Also, can I ask what firmware do you use? Posted October 8, 2018 · Backlash or not, Hardware problem or not? I am off from my printers at the moment, but UM3 has the latest firmware and the UM2Go the latest Tinkergnome FW. Posted October 10, 2018 (edited) · Backlash or not, Hardware problem or not? Posted December 22, 2018 · Backlash or not, Hardware problem or not? So, trying to resume this since it isn't solved yet, but it even is worse and I tried multiple materials.